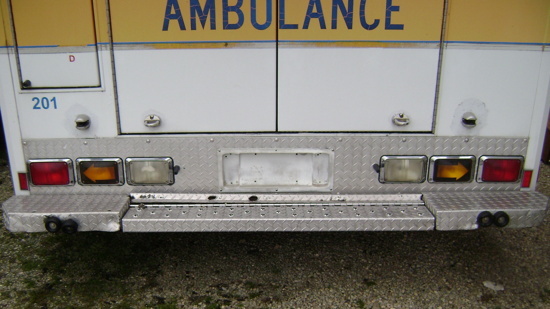 Our highly trained ASE certified technicians, with over 100 years combined service in the emergency vehicle field, can repair from the simplest door handle to a complete electrical system replacement. 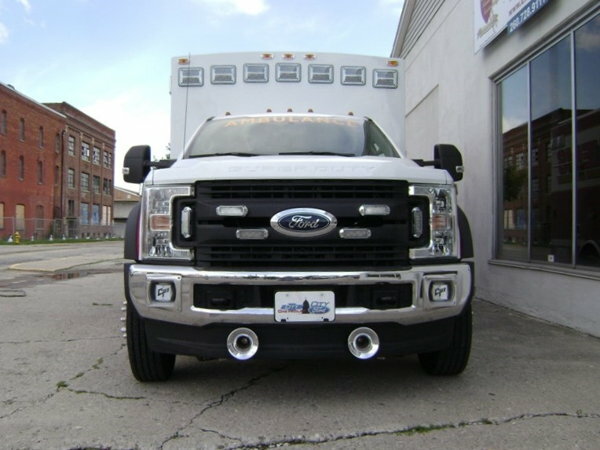 Custom fabrication of rear bumper assemblies, rub rails, front consoles, running boards, flooring, air and hydraulic suspensions. 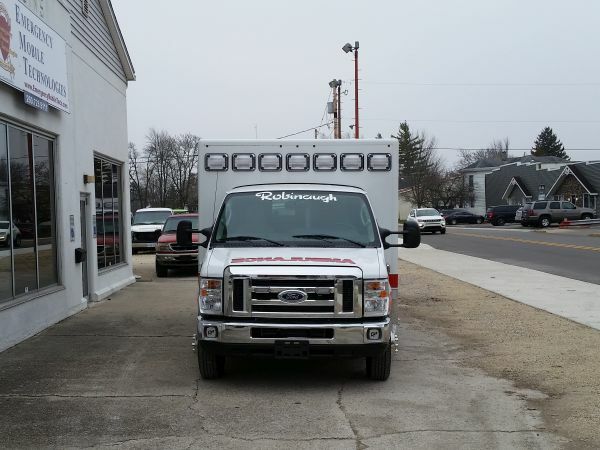 We can service all of your emergency vehicle needs at our facility. 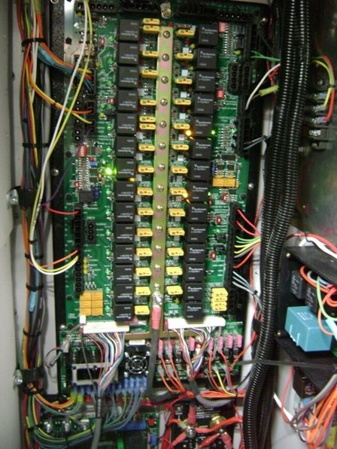 Whether you are looking for a complete new electrical system or you are wanting your existing electrical system repaired. We are here to help. 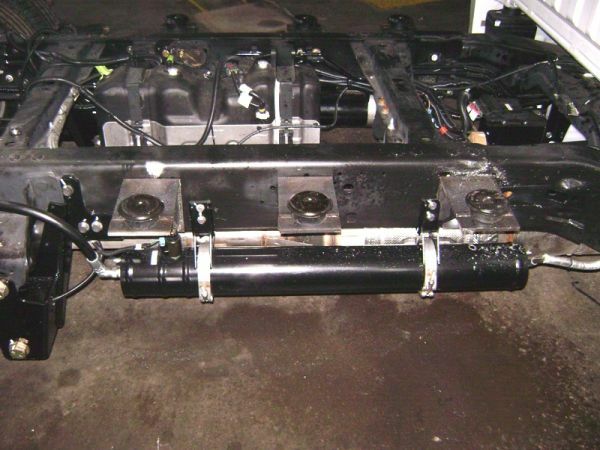 We carry most of the parts to repair from the oldest to the newest system. If we do not have the parts in stock, we can get them in a few days. 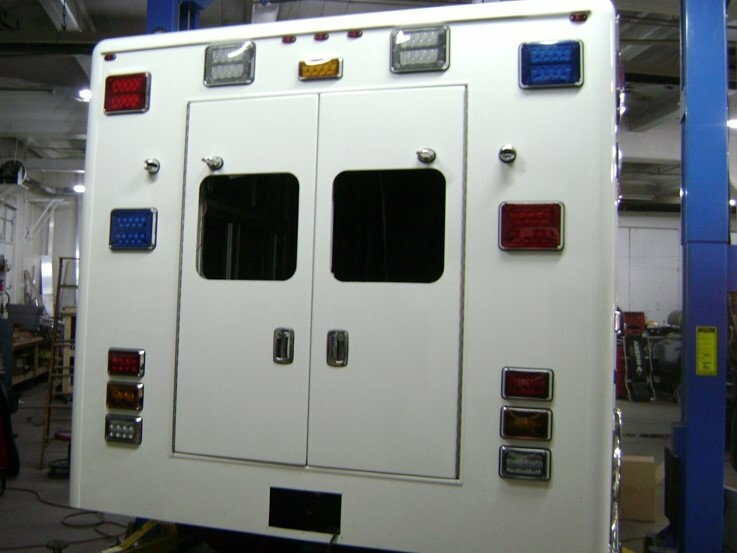 We carry in inventory over $400,000.00 worth of parts for all makes and models of emergency vehicles. 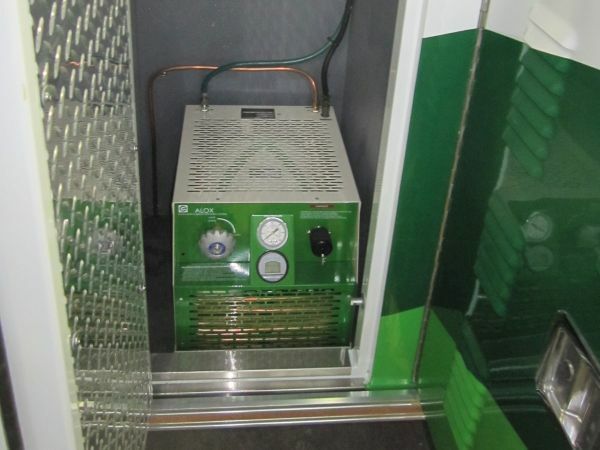 We can repair your existing unit or replace it with a new system. 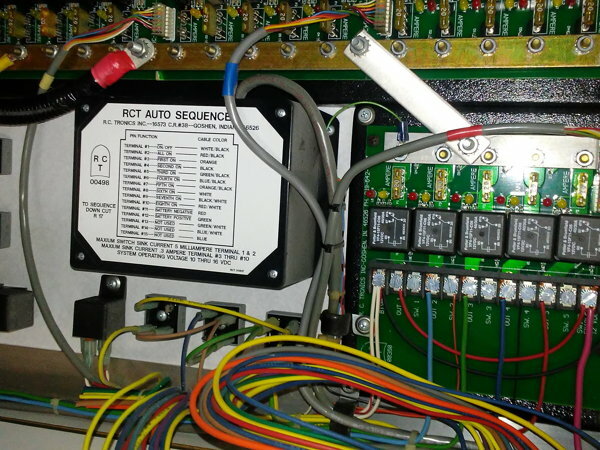 We use the most up to date Freon recovery and diagnostic equipment. No matter whether it is a hose leak or a bad expansion valve, we can help you keep your cool or get your temperature up. We carry parts for all brands of Heat & A/C systems, from blower motors, vacuum and electric water valves, and thermostats. Has the winter salt has taken a toll on your door parts? 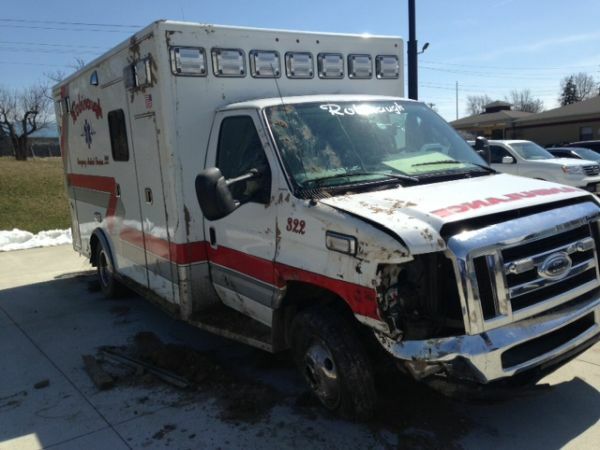 There is nothing worse than finding out that you cannot get into your ambulance or get a patient out. We can repair your existing door handles, rotary latches, and key cylinders or replace with new components. Need electric door locks, we can help you out. 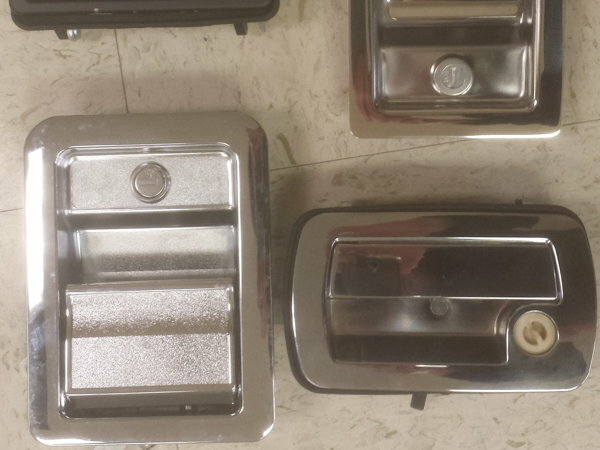 We carry a large selection of door handles and rotary latches. Shown here is a complete remount and repaint with upgraded door handles from paddle style to free floating door handles. This is an electrical system that has shorted out and burnt the wiring and electrical compartment. 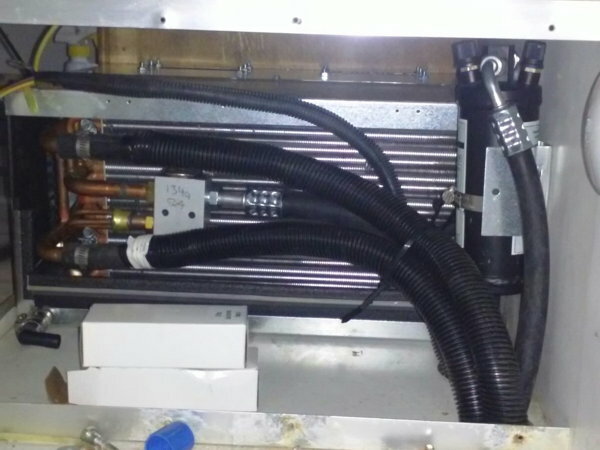 The wiring, electrical system, and cabinet has been replaced with an all new upgraded system. 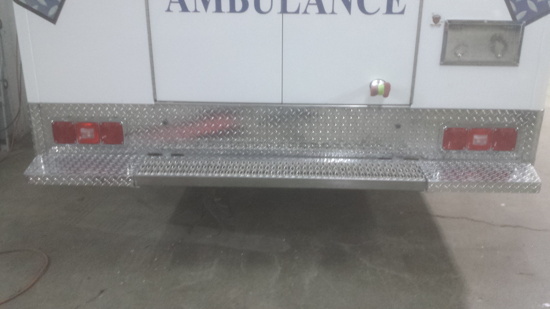 Custom built all aluminum rear step bumpers with or without center flip up. 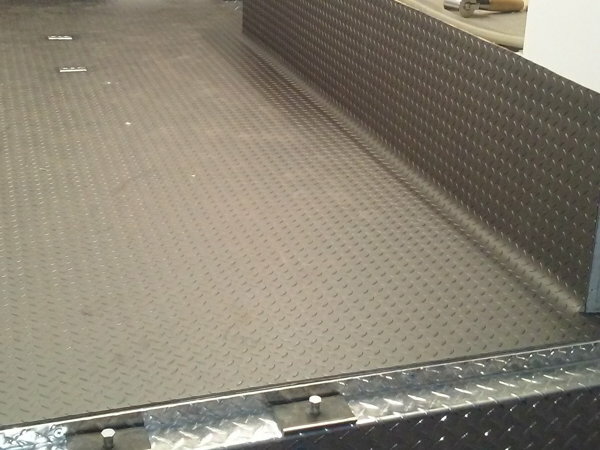 We do running boards, stone gaurds, kick plates, and rub rails also. 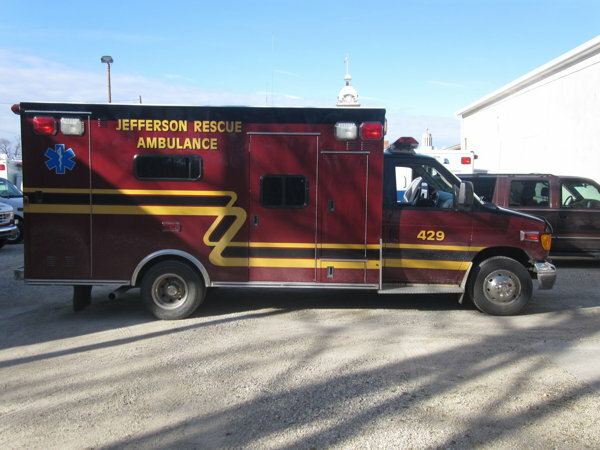 Ambulance was rolled on its right side and hit a concrete culvert. We replaced right rear corner extrusions and door opening extrusions and replaced right rear compartment door and inner compartment wall. We repaired other damage and paint. 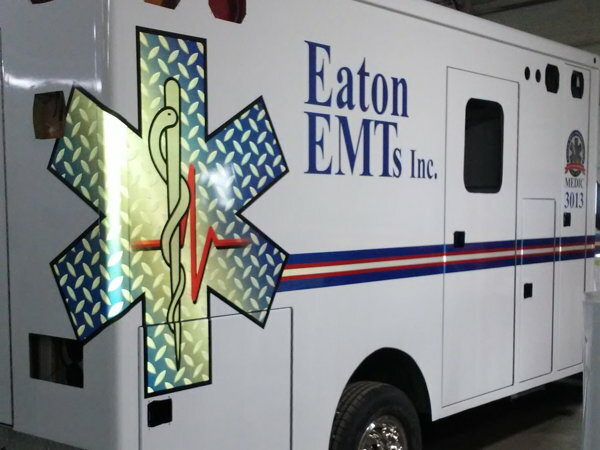 Remounted the 2013 Medix Ambulance Module onto a new 2018 Ford E-450 chassis. 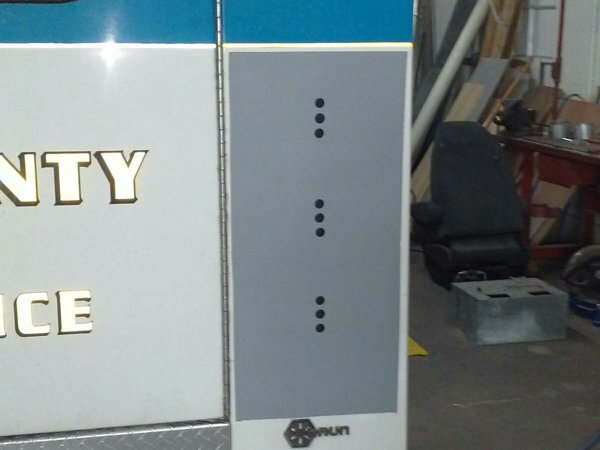 Installed new graphics and stripes onto cab and damaged areas of the module. 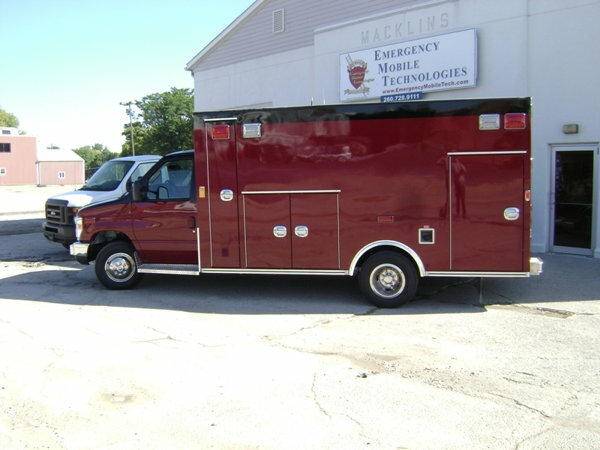 We can service all of your emergency vehicle needs at our facility. 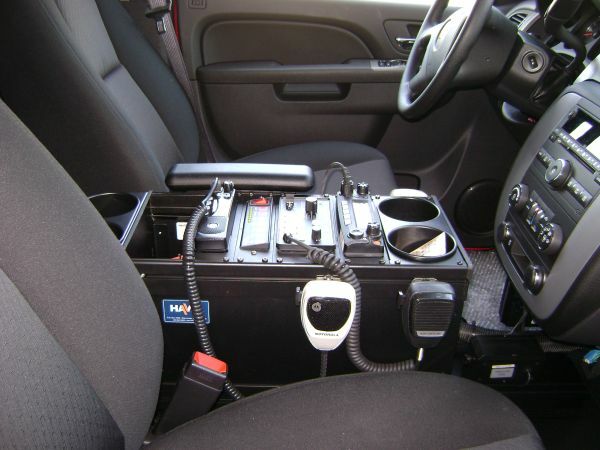 Our highly trained technicians, with over 100 years combined service in the emergency vehicle field, can repair from the simplest door handle to a complete electrical system replacement. 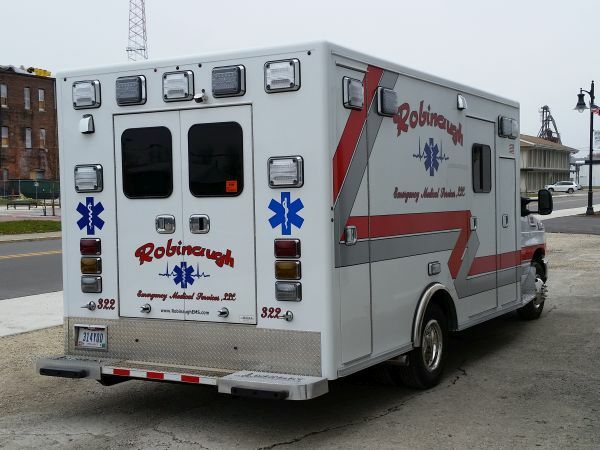 Convert your ambulance into a MICU with generator, medical air, true sine wave inverter and much more. 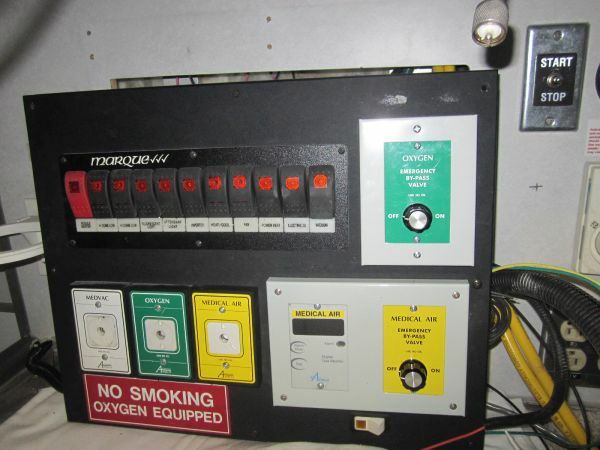 We can convert your bottle oxygen system into a liquid oxygen system. Choose from several types of suspensions including air ride and liquid springs. New flooring with or without roll up. Replace subfloor and cot mounts. Door handles, rotary latches, hinges, door stays, grabbers, windows and more. Floor console, engine cover console, Custom dome lights, and more. Interior & exterior lighting. Fluorescent, halogen, incandescent to LEDs. Warning, scene, dome, backup lights and more. Minor dents and scrapes to major body repair. 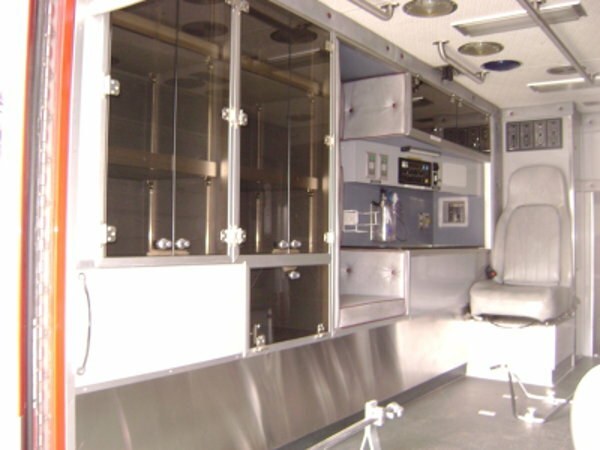 Modifications, plexiglass windows, stainless steel, trim and much more. 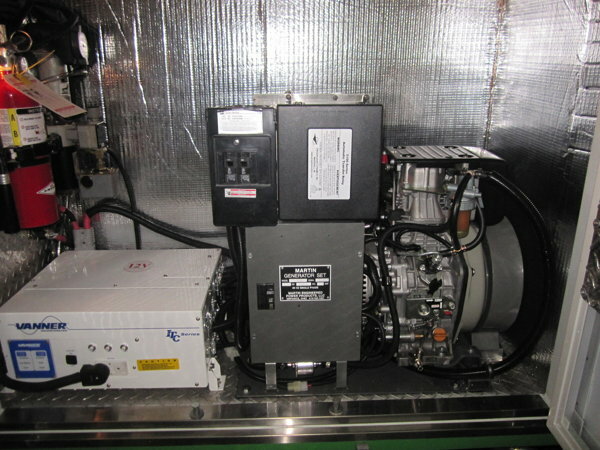 We can help you find and install the right generator, inverter, or converter to meet all your electrical requirements. 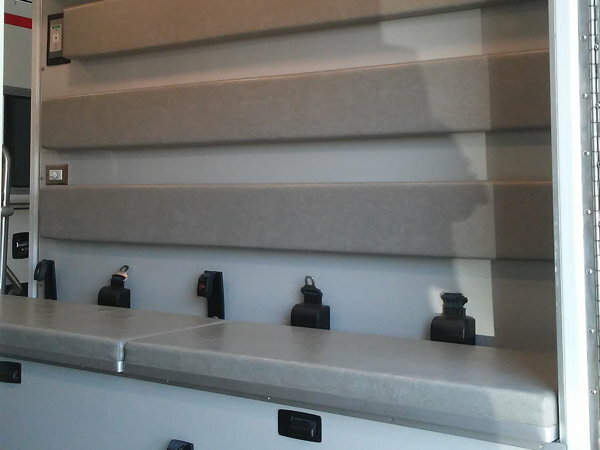 Upholstery repair to complete replacement. Laminate replacement or color change. Sirens, Air Horns, & Speakers of all types and makes. 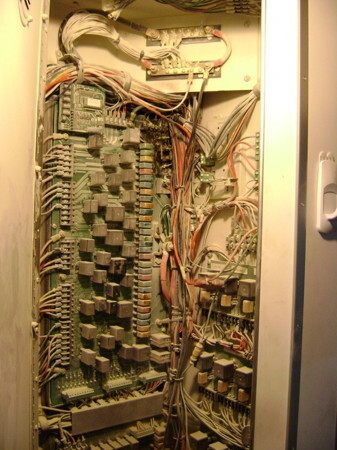 No electrical repair is too small or too large for our team of electricians. All 12 volt DC electrical components. 120 Volt, Inverters, shore line and generators. Fully customizable paint and decals. Get the paint scheme and decals you want. From complete repaint to full body wrap. Our trained technicians will service all your heating & A/C needs. Heat & A/C system repair to complete replacement and upgrade.